shopping. 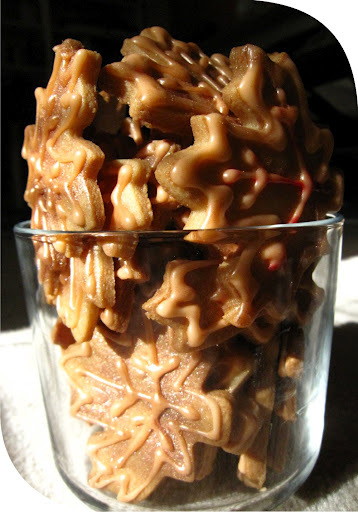 As a thank-you gift to my Toronto host, I’m sending him a box of homemade goodies. On the menu? Chocolate chip cookies, chocolate brownies, and maple cookies. A few months go by and I receive my November 2008 MSL – and the Cookie of the Month? 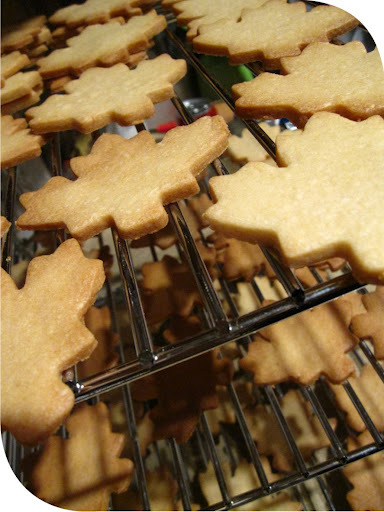 Maple Cookies. I know, I know, it seems like a ‘happy coincidence’ right? But I think it was her way of sending her thanks to me – for supporting her all these years. 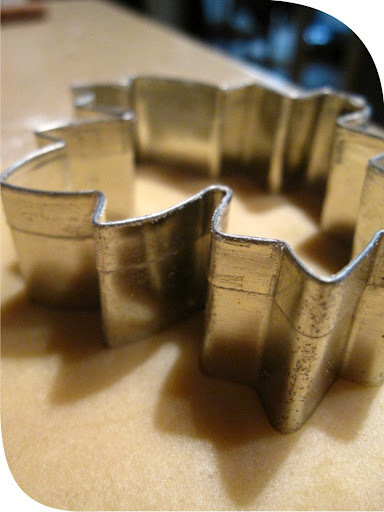 The often-used Maple leaf cookie cutter. My triple-decker cooling rack. Purchased at the old workplace. Pretty pimp, right? Only a baker like me needs a triple-decker cooling rack. 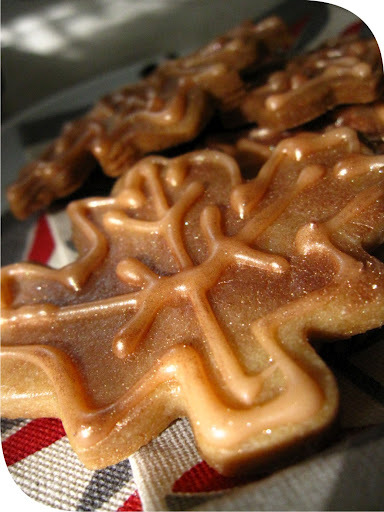 I used the bronze coloured pearl lustre on the cookies. I originally wanted it to pick up on the icing detail – but I wasn’t fast enough – but I think they look pretty nifty.